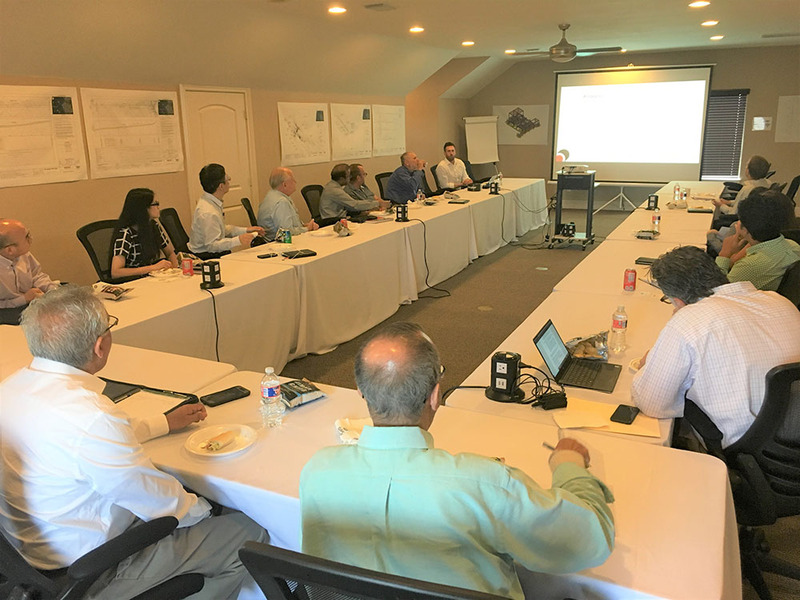 Matthew Massey and John Jondle, of Magma, came and gave our monthly internal lunch and learn to our Subsea Engineering team. The presentation was an update on their awards and activity and they also discussed their product range and capabilities. Magma have developed the m-pipe ® a high strength thermoplastic carbon fibre / Victrex PEEK pipe, which is made from carbon fibre and PEEK polymer which results in a pipe that is 1/6th the weight of steel, has excellent fatigue properties and is corrosion resistant. ‘Their pipe product is a game changer for the Industry, compared to traditional carbon steel, and offers excellent performance!’ said Dr. Paul Jukes – President & CEO of The Jukes Group.